In reading sewing blogs, it seems that people who sew are a pretty goal oriented bunch. From learning new techniques to busting a burgeoning fabric stash, we tend to set ourselves goals. One of mine was to go through my collection of books and actually make some of the patterns. My most recently completed project is from Famous Frocks, by Sara Alm and Hannah McDevit. 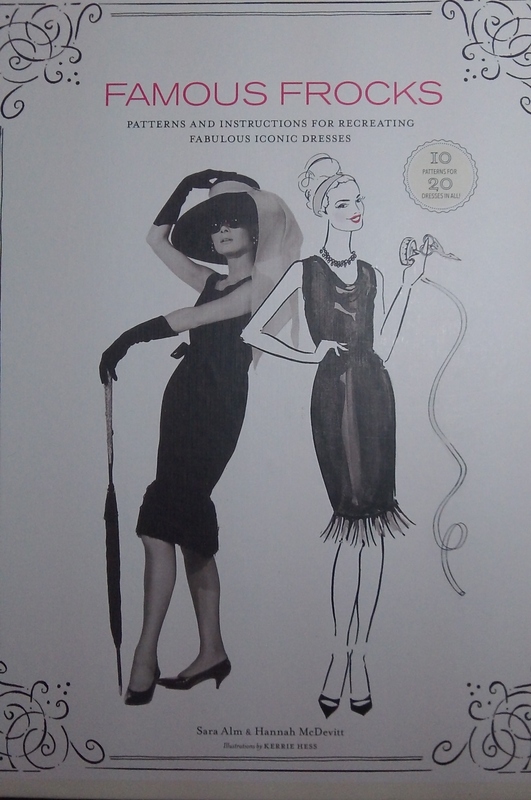 The book contains 10 dress patterns inspired by iconic looks. I selected a dress inspired by Jacqueline Kennedy Onassis from her White House years. 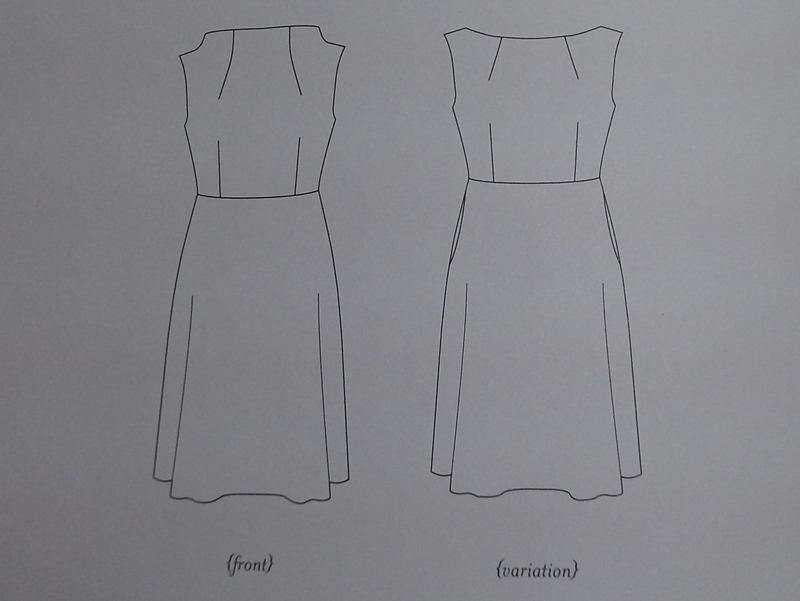 There are two neckline options, I preferred the boat neckline, which is more like the photograph. I traced the pattern and made a muslin. I had to lower the dart point coming up from the waist and added a little ease in the skirt back. It’s a simple dress, very reminiscent of ’60s styles. Since I was using silk, I underlined it with organdy to combat wrinkles. My big screw up was using dark blue, wax based tracing paper to mark the darts on the organdy. 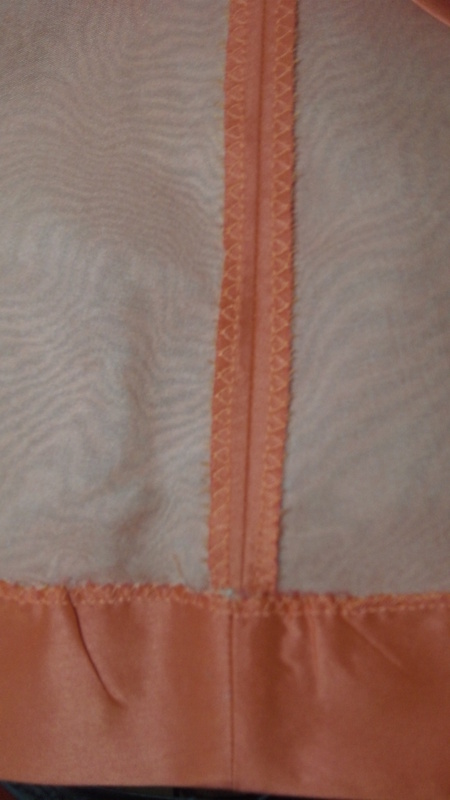 It came through the white organdy and showed through the coral color silk, which meant cutting out a new bodice. Lesson learned on that one. The addition of the organdy underlining gave the dress more structure than the muslin, so the flat skirt back is more of a fit issue. My backside is not flat. If I ever make it again, I would add darts to the back of the skirt. I almost got that book one time. How do you like it? Will you be sewing more of the patterns from the book in the future? I’d like to make some of the others, the Farah Fawcett could be a nice work dress. I hadn’t thought about it before, but have some knits in my stash. Thanks for the idea, maybe a fall color for October. Like everyone else I already have a couple of projects in the works and wish I had more time to sew. A fall color for October sounds like a great idea! I can’t wait to see what you come up with. I love your fabric choice, and the colour! Could the flat back issue be because the pattern is intended for knit fabrics rather than woven? I don’t have the book to hand but seem to remember a large number of the patterns being for knit fabrics but can’t remember which ones. I bought fabric to make the Farrah Fawcett wrap dress but haven’t got round to it yet. Thanks for the reminder to bump this to the top of my list! Thanks for the kind comments. I pulled the book out to check, I couldn’t remember the fabric recommendations. Most of the patterns have knits suggested, but the one I made has lightweight wool, stretch poplin, broadcloth, linen, denim and twill. All are fabrics that likely have more give than the combination of the silk with organza underlining I used. I just wore it last week after dropping a couple of pounds (high school reunion coming up) and it fits much better. 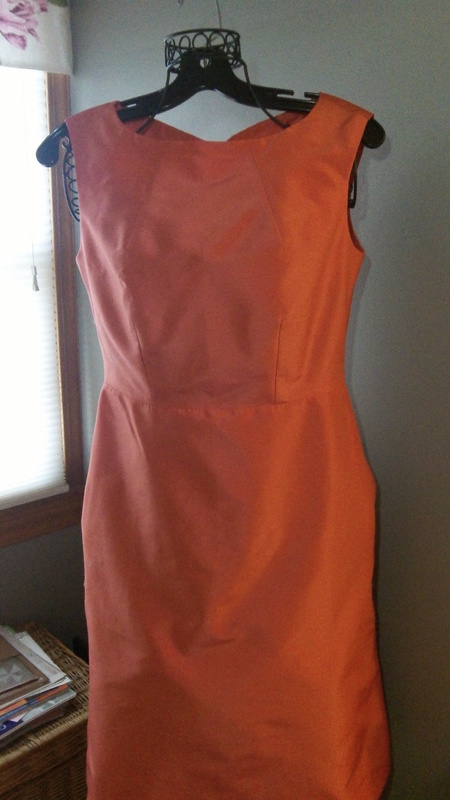 I was thinking about making the Farrah Fawcett too, it looks like a great throw it on and your ready dress. I had that book in my hands at Barnes & Noble last week but chose one on couture sewing tips instead. I would have chosen the same dress as you, had I gotten it last week. 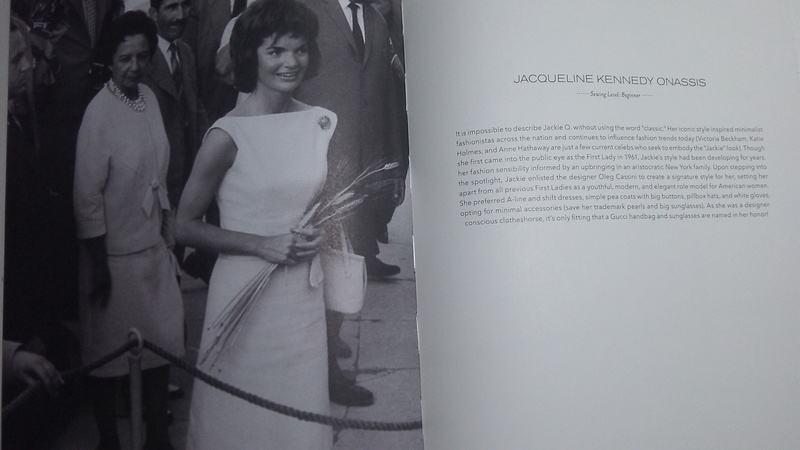 That Jackie Kennedy dress is so iconic, and timeless and the color you chose is perfect. 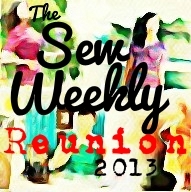 My 50oth high school reunion was last Saturday and I wanted to sew something like what you created. However, my knees have very different ideas about me sitting at the machine for any length of time. I know something I had made would have been a better fit than a purchased dress. Oh well, there is always next time. I hope you had fun at your reunion. I went to my 40th last fall. It was so much fun, I swear by the end of the night everyone looked years younger. What do you think of the book you bought? Is it one you would recommend?